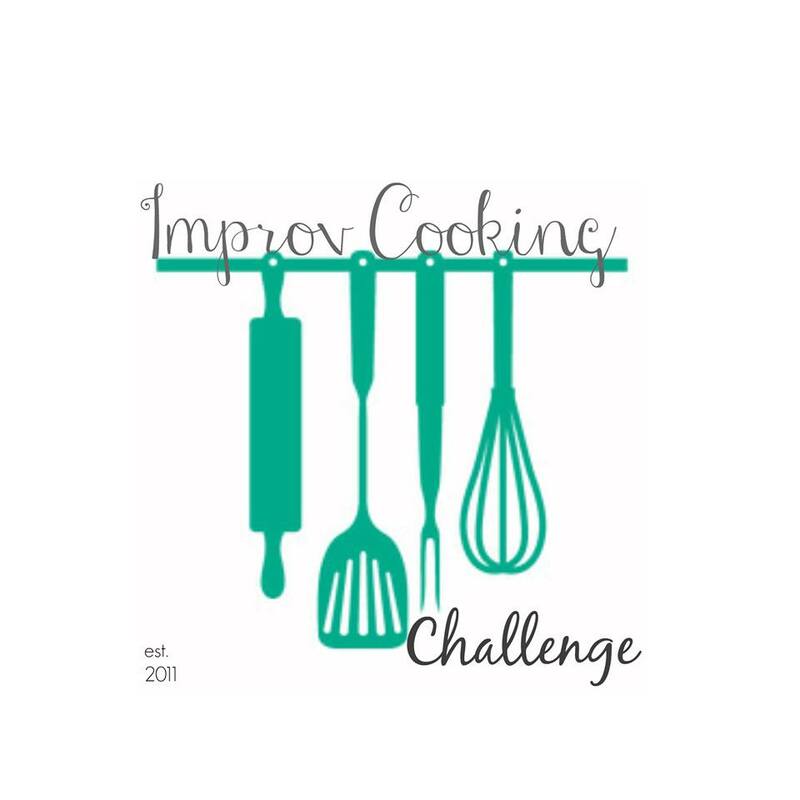 This month’s theme for the Improv Cooking Challenge is steak and potatoes and for some reason, those two ingredients really stumped me. We eat steak and potatoes pretty frequently, but that didn’t seem anywhere near creative enough to share with you. It took until the weekend before this recipe was to be shared before inspiration finally struck and it came via the Super Bowl. Tom had asked me to make appetizers and seeing as he wanted the Eagles to win, I wanted to do something Philadelphia related. Cheese steaks were the obvious choice, but how to include potatoes? 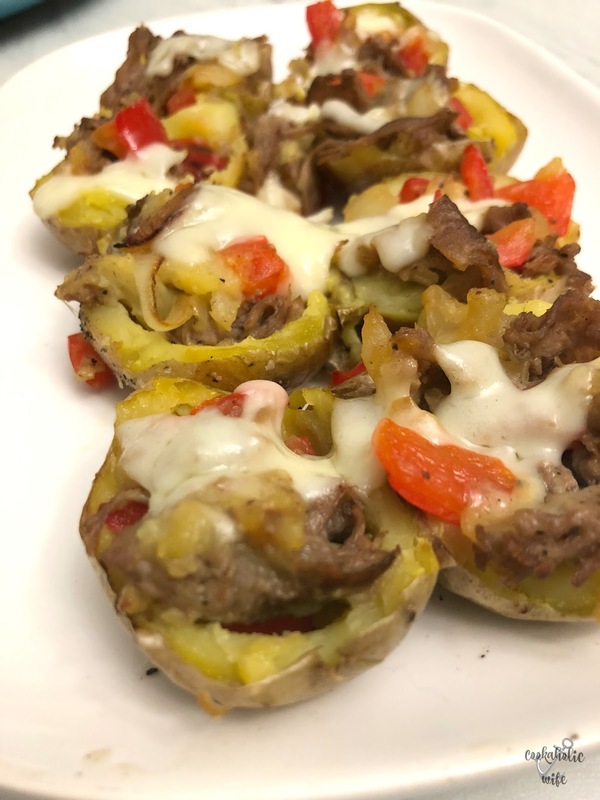 I scrolled through all of the appetizer recipes I had pinned and landed on twice baked potatoes and knew that would be the perfect combination. 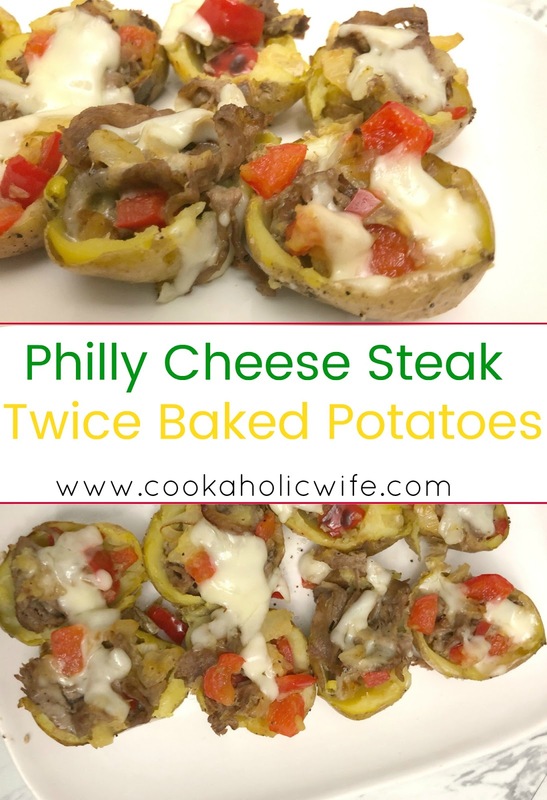 Who doesn’t like twice baked potatoes or cheese steaks? Talk about a match made in cheesy, carby heaven. 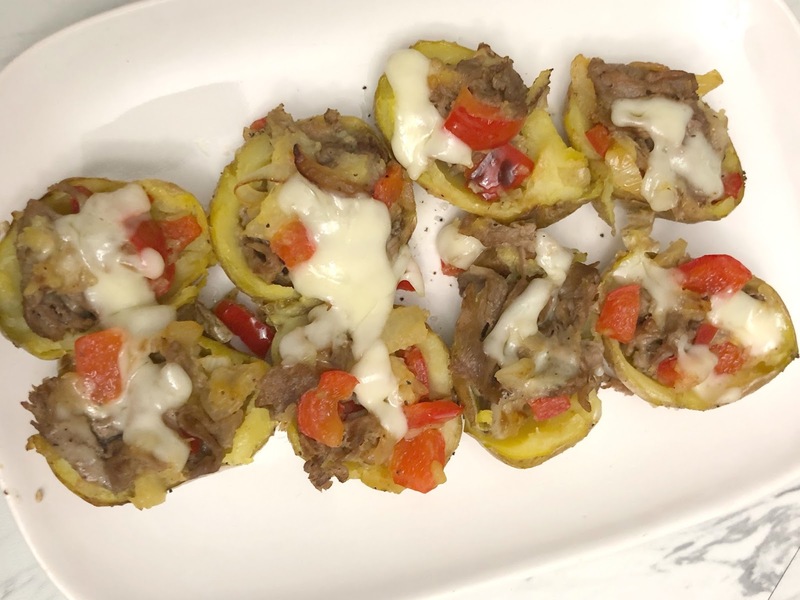 A delicious appetizer and perfect for any tailgate, Philly Cheesesteak Twice Baked Potatoes are made with baby potatoes, shaved beef and shredded provolone cheese. 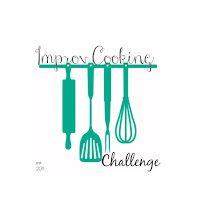 Preheat the oven to 400 degrees. Line a large baking sheet with foil. Prick the potatoes with a fork. Toss in a large bowl with olive oil, salt and pepper. Place the potatoes on the baking sheet and bake for 15 minutes. Flip potatoes over and bake for another 15-20 minutes or until cooked through. Remove potatoes from the oven and set aside to cool. In a medium skillet, cook the beef until fully browned over medium high heat. Then transfer to a cutting board and dice into small pieces. Add olive oil to the skillet over medium heat along with the onions and bell pepper. Cook for 5-7 minutes, stirring occasionally until softened. Remove from the heat and set aside. Slice the cooled potatoes in half and use a spoon to carefully scoop out the inside, leaving a thin layer around the edges of the skin to make them sturdy enough to hold the filling. 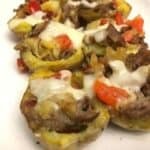 In a large bowl, stir together the potato filling, steak, onions and bell pepper. Season to taste with salt and pepper. Scoop the filling back into each of the potato halves. Top with shredded cheese. Return to the oven and bake for 5-7 minutes or until the cheese is melted. The potatoes can be baked the day before and refrigerated after cooled. Steak and vegetable mixture can be cooked, cooled and refrigerated until ready to eat. Increase bake time by 5-10 minutes to ensure everything is heated through. Oh perfect! This one is going straight onto my list of party recipes!